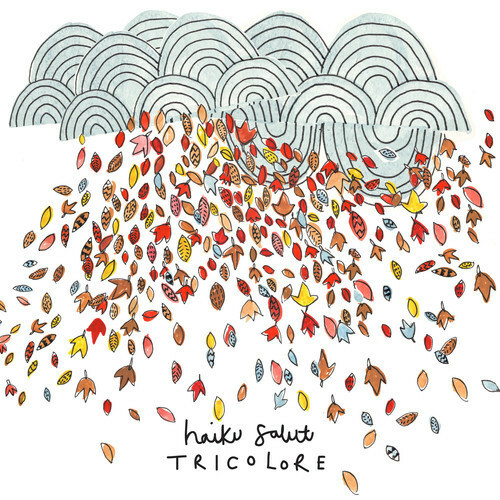 Haiku Salut are three-piece Derbyshire Dales in the UK who perform live without ever speaking a word on stage. Such a feature might come off as down right unsocial, but it reinforces the idea that sometimes it’s best to just let the music do the talking. And Haiku Salut’s music has plenty to say, evoking worlds of their own, but also giving a commentary of sorts with each deliberate note. The trio will release their new album, Tricolore in March on How Does It Feel To be Loved?, following their 2011 extraordinarily-titled How We Got Along After The Yarn Bomb EP. Below you can watch the video for one of the new album tracks, “Los Elefantes” which follows the arrival of a young man in London who is soon led astray by a gas mask-wearing girl with a bunch of red balloons. Soon he’s transported to an idyllic forest where he’s stalked by spirits (played by the band members) in a series of wonderfully executed shots.The track’s a mystical affair, too, with plenty of accordion that will bring to mind Yann Tiersen but which also manages to makes steps past that comparison. Watch the Joshua Dunlop-directed video below, and you can head over here to download the track for free. Tags: Haiku Salut, How Does It Feel To Be Loved?